In the case of Joe Blades, you would do everything you could to quench your thirst. There’s one last whisky bottle in the world, precisely in Perdition City, guarded by Bruce Krauser and his mutant crowd. So, the only option is to waste the hordes of mutants, God of War-style, brutally fighting with different range weapons and doing some fatalities to end with a bang. 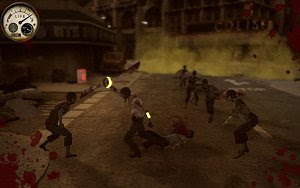 Besides being very gore and with a frantic gameplay, the visuals in Burning Thirst feature an aesthetic mostly composed of brown and grey colors, in tone with the usual post-apocalyptic world vision that most games with the same setting offer us. A highly recommended free action game.